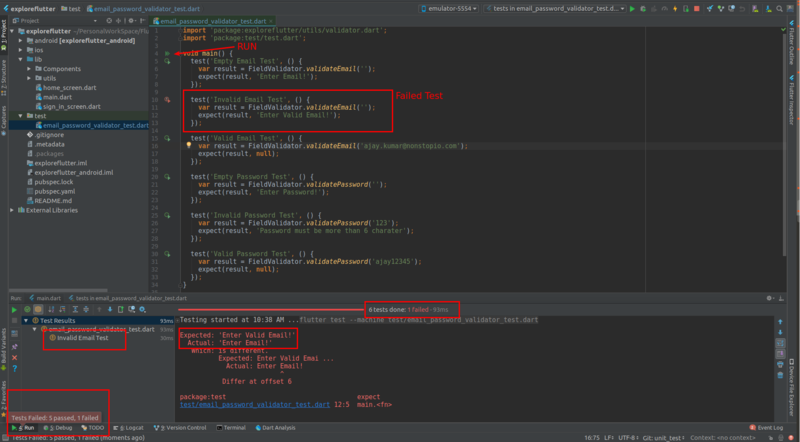 Unit tests are handy for verifying the behavior of a single function, method, or class. The test package provides the core framework for writing unit tests, and the flutter_test package provides additional utilities for testing Widgets. 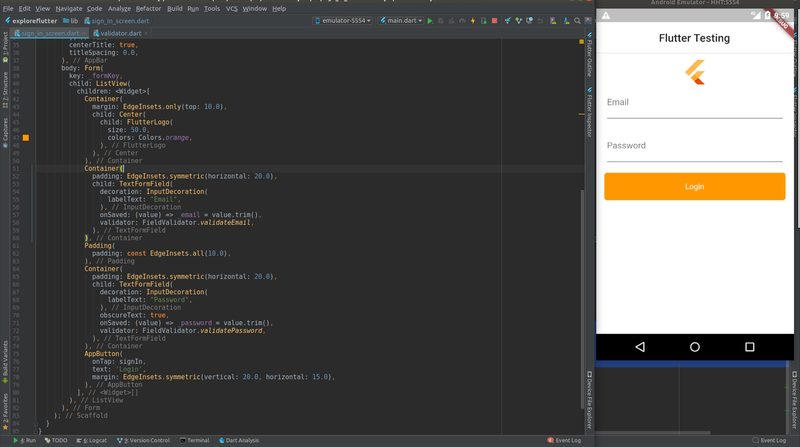 So I have set up a basic Login form with email field, password field, and the login button. On login button click the form is validated that the email and password are not empty. 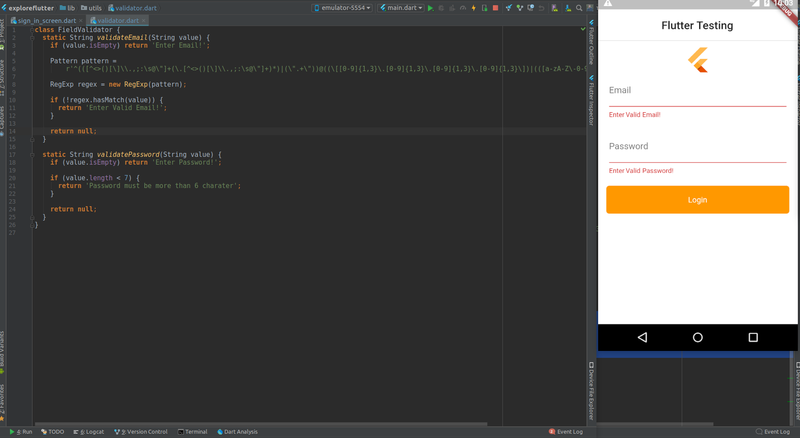 To validate the form let’s create a FieldValidator class which have two menthods validateEmail and validatePassword . 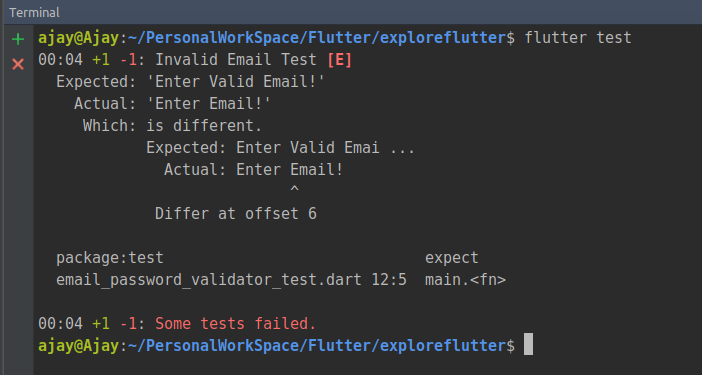 So let’s create a new file under test directory named email_password_validator_test.dart . Let’s write some tests ! Now let’s Test this . 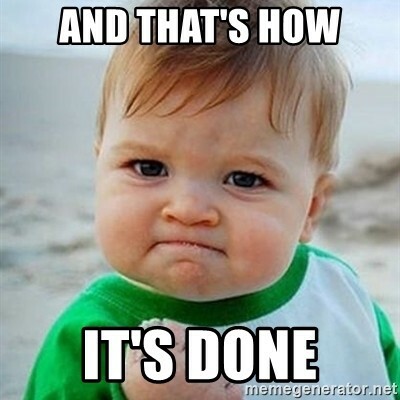 The second test failed as we have passed an empty string to validateEmail and we Expected result ‘Enter Valid Email!’ but it should be ‘Enter Email!’ . Let’s Fix this and add few more Test . 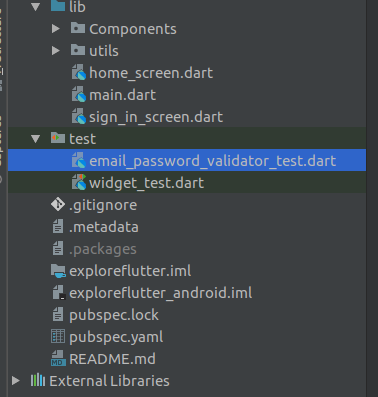 We can also run these Test with in Android Studio as well . Let’s fix the second test and run it again .